According to Sylvia Neely’s “A Concise History of the French Revolution”, the average 18th-century worker spent half his daily wage on bread. However, when the grain crops failed two years in a row (1788 and 1789), the price of bread shot up to about 88 percent of his wages. Many blamed the ruling class for the resulting famine and economic upheaval. On top of that, peasants resented the gabelle, a tax on salt, two of the most essential elements of French cuisine, was particularly unfairly applied on the poor. These circumstances and the indifferent attitude of the French monarchs substantially contributed to the rising of anger towards the whole system. The famous line of Marie Antoinette, queen of France at the time,when she came to know that her subjects had no bread, is often quoted in this regard when she said, “Let them eat cake”. Obviously, the causes of the revolution were far more complicated than the price of bread or unfair taxes on salt, but both served as triggers for the uprising against the ruling elite. Apart from the French revolution, food crisis has led to numerous other major conflicts in the past. Conflict is a cause and effect of hunger. If on one hand, food crisis leads to war, on the other hand conflict may lead to food insecurity. According to the International Food Policy Research Institute (IFPRI), violent conflict and its aftermath had left nearly 24 million people in 28 developing and transition countries and territories food insecure and in need of humanitarian assistance. 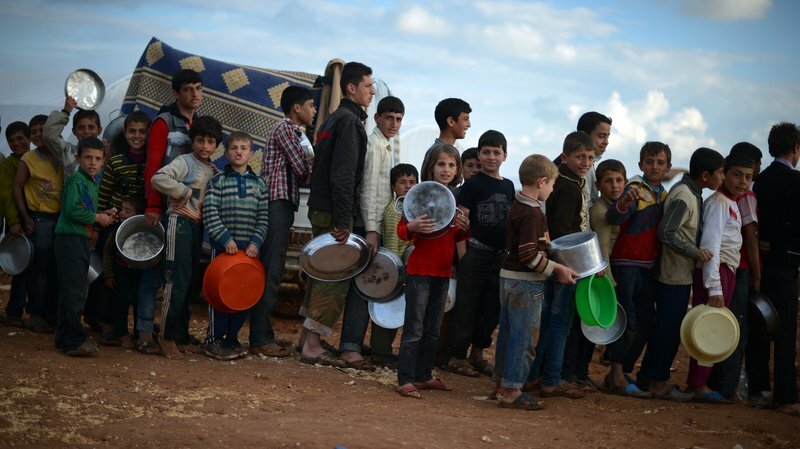 In addition, some 35 million war-affected refugees and internally displaced persons showed high rates of malnutrition. One of the main reasons for food shortage in these areas is the reduction in production due to conflict. The IFPRI compared actual mean food production per capita for 14 countries. The study found that in 13 countries, food production was lower in war years, with declines up to 44 percent, with a mean reduction of 12.3 percent. Apart from the research studies, the Food and Agriculture Organization (FAO) has regarded global conflicts as one of the three major causes of increasing food insecurity around the globe. It is also a general observation that the majority of the undernourished people in the world live in conflict affected regions. Although the reciprocal relationship between conflict and hunger is widely recognized, yet the efforts directed towards attaining food security rarely include plans for conflict resolution. The linkage between conflict and food insecurity are more and more evident in the modern era and a topic of concern to peace and food-security advocates inside and outside of government and international agencies. Providing food to the undernourished people can only provide a short term solution through which the goal of eliminating hunger from the globe cannot be achieved. Food security and development programs must include conflict prevention and mitigation components. Beside conflict prevention, a more sustainable approach is needed to attain food security in the under developed countries. Sustainable agriculture and rural development, with an emphasis on small farmers, should contribute to reduced risk of conflict in resource-poor areas and countries. Broad-based development offers an antidote to the hopelessness that often leads to violence and agricultural development assistance should be part of conflict-avoidance. Agricultural programs need to choose paths that foster cooperation among communities or rival groups and avoid negative competition leading to conflict. Moreover, programs need to be structured so that they can create openings for active participation by women and men from zones of high conflict. Eradicating extreme poverty and hunger is on the top of the list of Millennium Development Goals (MDGs) by the United Nations. Success of the other goals partly depends on achieving this goal. Therefore, it is the duty of concerned officials to leave no stone unturned to eliminate or at least reduce hunger to a greater extent. Severing the food insecurity-conflict nexus must be one of the top priorities of the concerned authorities in order to being an ever lasting peace in the world.